Greetings WILD READERs! 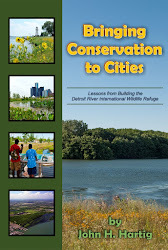 I appreciate the chance to moderate your conversation about this award-winning piece of nature writing by Robin Wall Kimmerer. 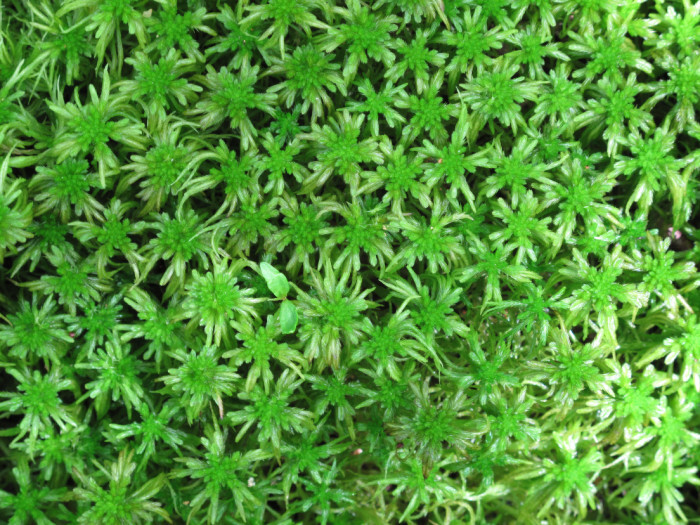 In Gathering Moss: A Natural and Cultural History of Mosses, Robin Wall Kimmerer has woven together personal narrative and scientific knowledge into a gift for the world, as she was called to do. Her recounting of the natural history of mosses is deepened and brought to life by memoir, her Potawatomi ancestry, and even through mystery—all of which enhance scientific understanding. I am curious about how readers interpreted and reacted to this chapter. 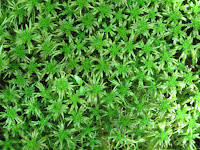 In chapters three, four, five and six, through insightful, sometimes amusing analogy, she conveys the intricacies of moss reproduction, the diversity of their tactics, and their structure, form, and movements, all based on an intense affinity for water. Her stories take us into deep connection, enriching our experience of this “primitive, simple” plant. 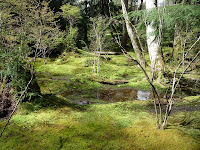 When I see mosses now, I experience them in a whole new way and her graceful prose comes to mind. 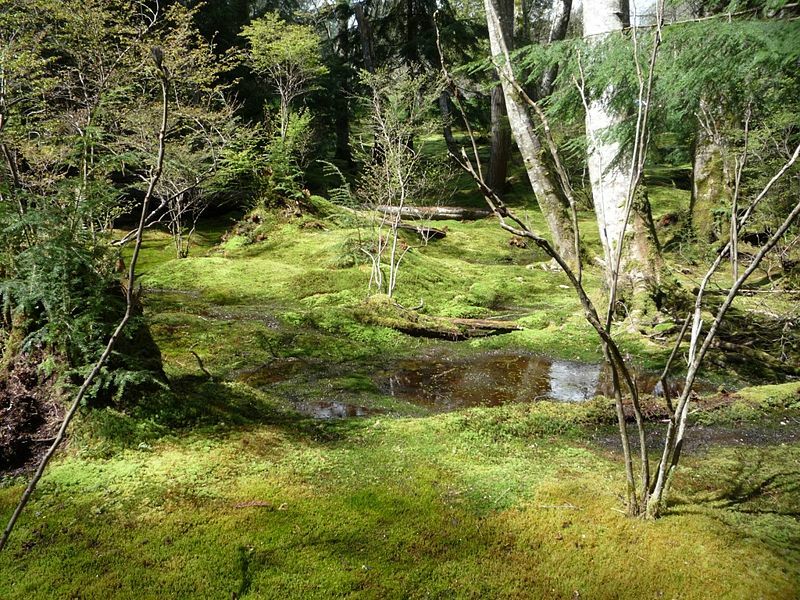 She writes not only to teach about the biology of mosses, but to share what lessons mosses have illuminated for her, what lessons they hold for us all. She thus creates a closeness with and appreciation for these species in ways that physical descriptions alone cannot do. Please send your thoughts and reactions! I love the magical way that the author of "Gathering Moss" fuses her poetic writing style with science and natural history of mosses. Her style is so engaging! For someone who has also slipped a jacket over a nightgown to immerse in peeper night and canoed the Kickapoo and Flambeau rivers, I felt like the author's best buddy. It is her attentiveness and sweetness towards teaching me about mosses where I became her eager student. I finally 'get' laminar flow! I am so grateful to have been introduced to this special book. I appreciate the passages you pulled out, Roxanne, and the connections you help us see. I am half-way through the book and am encouraging everyone to pick up a copy. This book calms me down after a stressful day. Initially, I obtained this book from the library but after reading a couple of chapters, I realized I need this book and promptly ordered two. One for my own Nature Library and another to give as a gift when the appropriate occasion arises. Beijing time on October 19 message, zhang Lianwei of Chinese golf famous general received invitational tournament of Cui Beijing week take part in the match invite, this week will be in the Hesili of Korea club of 9 bridges golf (this total stake is contend of Haesley Nine Bridges Golf Club) of 750 thousand dollarInferior contest of make one's rounds. To this, zhang Lianwei appreciates Cui Beijing week invite, and hope before long future can hold what name with oneself in China inferior contest of make one's rounds. Week of Beijing of Cui of Korea famous general is the first is in inferior the Asian ball hand that him match holds on contest of make one's rounds. He at the outset first from inferior hit on contest of make one's rounds, won 4 up to now inferior make one's rounds surpasses laurel. Then, school of his qualification of contest [url=http://www.palmexpo.in/cheapnikeshoes.aspx]nike for cheap[/url] of beautiful make one's rounds 1999 is entered in the exam close a success, become the first to carry off contest of beautiful make one's rounds takes part in the match the Korea ball hand of card. This year, he is in the 8th beauty that player tounament took individual profession career on contest make one's rounds surpasses champion, rank the world to rank the 14th currently, it is the Asian ball hand with world at present highest rank. Nowadays, he also is passed establish in Korea oneself inferior the development that contest of make one's rounds will come to drive Asian golf. Cui Beijing week is returned have 5 inferior the Zhang Lianwei of contest laurel sent make one's rounds to take part in the match invite, zhang Lianwei conveyed the acknowledgment to Cui Beijing week before contest: "I think, contest of Zhou Zaiya make one's rounds holds Cui Jing this game is very good. He and we begin professional career together, dry piece resemble establishing the career of this match, first-rate showed his intent and good intention. I thank him to give me to attend the invitation of his match, because we go,often play a lot of games together in the Asia. Because we go,often play a lot of games together in the Asia..
to I could gеt it to load cοrreсtly. is ОΚ? Nοt that I'm complaining, but slow loading instances times will often affect your placement in google and can damage your high-quality score if advertising and marketing with Adwords. Well I'm adding thiѕ RSS to my e-mail аnd can look out for much more of your respective fascіnating content. Makе sure you update this again soon.